This week’s Challenge is Selfie. 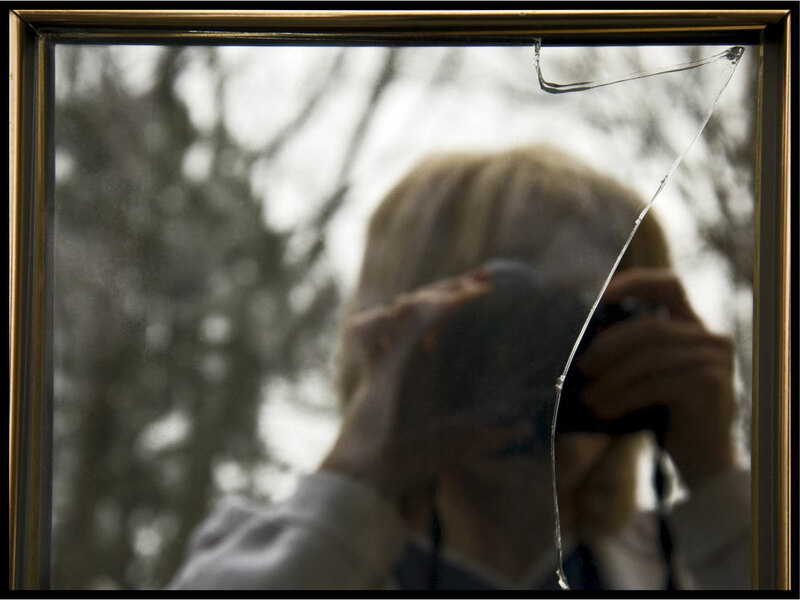 I decided on an artistic representation, and took a photo of my reflection in a mirror, with a broken picture frame glass sitting on top of it. I then cropped out everything around the frame to make it look like a picture of myself, only broken. My emphasis was on the blurred, broken glass for a reason. Throughout my life, I have struggled with seeing myself as broken. As damaged, flawed and inadequate. The good news us that God welcomes the broken, lost and discarded. In fact, He specializes in mending and then using them for His glory, despite shortcomings and flaws. I know, because He did so with me. With God’s help, I don’t see myself as broken; rather, perfectly designed for His purposes. And I celebrate knowing that He loves me just as I am. Do you struggle with feelings of inadequacy and brokenness? God can heal and use the shattered pieces of your life. This entry was posted in Weekly Photo Challenge and tagged broken, God, photography, postaday, selfie, Weekly Photo Challenge on February 11, 2014 by heavenlyraindrops. Thanks Steve. I can’t get past that song- so powerful. This is a moving post, Sue! Your picture speaks a thousands words. It’s also interesting to me that the camera, which you use to reflect your face, actually keeps us from seeing you … The real you, is not even there … but it’s deep inside, where only the Father can look into … and even though He sees the real you, He loves you with an everlasting love … thanks so much for this honest and thought-provoking post! Wonderful post, Sue! I have felt the same way my entire life, this post touched me deeply. Thank you. Amen!! That has been my prayer, as well, since starting. Transparency, so people see less of me and more of Him because of what He is doing inside of me. I hope that makes sense. I am on cold meds. I think you get what I mean. 🙂 Scary part is I am off to write my blog post. lol This was a wonderful post. Thanks Patty. I appreciate your input. I just started my blog today and as I’m sitting here trying to figure out this how to use the blog, I stumbled across (your blog) and this song. Thank you so much for sharing this song. I literally just broke down in while listening to the words. I really needed this right now… Thank u.